Presenting the Nails of the week, started off with a base coat, and applied two coats of OPI Lincon Park After Dark on my nails. 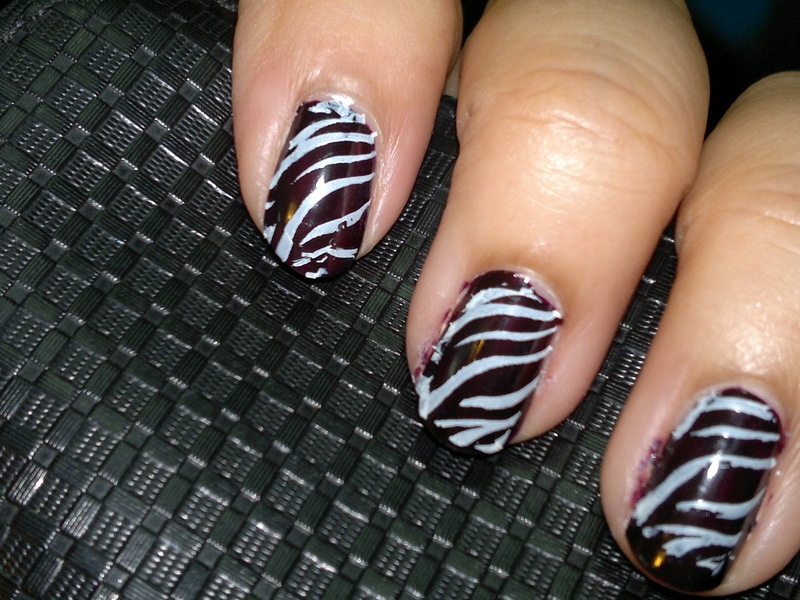 Stamped my nails using a striped design from Konad Image Plate 69 with a VOV white nail paint. Followed it up with a top coat to seal in the nail art. What do you guys think? Do let me know in the comments. 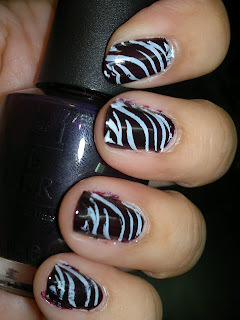 lovely nail art..i didnt know vov nail paints stamp so well!